These days it seems that everyone you do business with wants feedback about their services; healthcare is no exception. (Press Ganey surveys are a prime example.) As many providers are discovering, there are also many sites on the internet for publicly rating providers on everything from the quality of healthcare received to the state of one’s waiting room and courtesy of support staff. What if you or your facility are on the receiving end of negative reviews? And what if you feel these reviews are unwarranted? You may not even realize that there is a review on one of these many sites until someone mentions it to you or you stumble across it in a search engine. Besides sites such as Google and Yelp, there healthcare provider grading sites plus local or regional networks with “best of” awards, as well as electronic bulletin boards such as NextDoor, which is a resource for neighborhoods in a city or town. 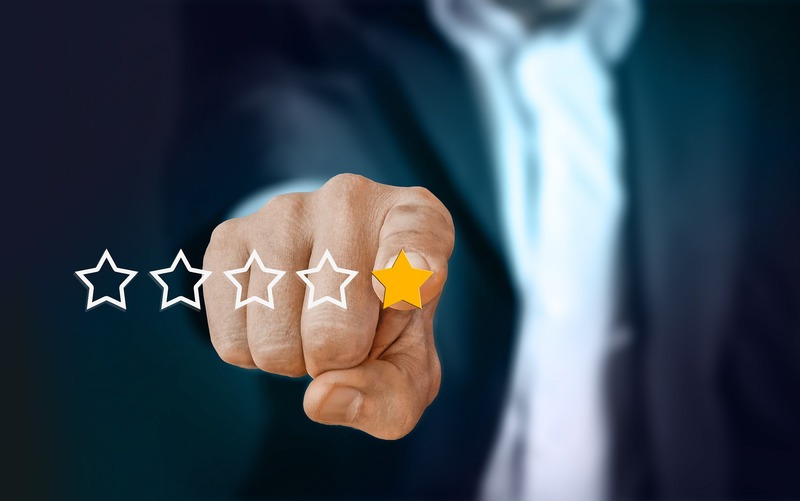 If you or your facility are on the receiving end of negative reviews, responding immediately may be the worst thing that you can do. With HIPAA and other privacy laws limiting what you can say and where, the scales may seem unfairly tipped in the reviewer’s favor. There are, however, some things that you can do as well as some that you should avoid. Defamation on the internet (libel or slander in other situations) is a new and developing area of law. Several attorneys have written about the state of the law in legal publications, but there is little addressed to non-lawyers. In this post, I have combined the best recommendations from several writers and tried to put them into plain English. As always, you should consult your own attorney before acting. When you first see a critical review, do not respond. Look at it carefully to see if you can figure out who wrote it and whether the statements have any validity. If there are problems with your facility, processes, or people, this is a chance to learn and improve. Look at the review from a patient’s point of view and remember all the uncertainty, stress, and concerns they may have. If you believe the review is fake (not written by an actual patient), invalid or someone appears to be posting multiple derogatory reviews, there are a few things you can do. First, look at the website’s policies. There may be the option to flag or protest the review. You must be the provider reviewed and “claim” the practice or facility. The site will then investigate your complaint. If the review is a fake or the same person wrote multiple reviews, the site can remove the review. Some sites also let you “hide” some, but not all, negative reviews. A second option is to leave the review as is. One thing about public sites is that others will often post positive comments or direct responses to a negative review. This has the effect of diluting or burying the negative comments farther down the page. Some providers want to ask other patients, friends, or family to post positive reviews. Do not tell them what to write and do not offer any benefit to those posting (for example, a discount or write-off). This can trigger problems under federal kick-back statutes or issues with insurers. Some businesses have signs or letterheads to tell their clients, “If you like our services, please recommend us to others. If you don’t like our services, please tell us.” If you are open to honest feedback, this is an effective way to learn about problems without reading about them on the internet. Depending on the content of the review and the impact it has or could have on your practice or facility, you may consider suing. Options are limited here too. In the still-early days of the internet, the United States Congress passed the Communications Decency Act of 1996. In effect, the law, as one New York court noted in 2010, shields computer service providers from lawsuits when users post content or comments. Google and all other sites are just a platform for speakers. They don’t write the speakers’ speech. So, suing them is unproductive. This leaves the reviewer. If you know who it is, talk to an attorney about a “cease and desist” letter. Or invite the reviewer to discuss his or her complaints with you in person. This may or may not lead to the reviewer removing the offending post, but the letter sometimes works. At least it puts the reviewer on notice that you are aware of the post and that she or he is on thin ice. A meeting provides you with a listening opportunity and a better understanding of why the reviewer wrote the post. Suing the reviewer individually for defamation is a possibility. You must prove several things, including the reviewer’s knowledge that what they wrote was false as well as damages to you or your practice/facility’s reputation. HIPAA also comes into play and can make any testimony fraught with disclosure potential. Negative reviews on social media are annoying and embarrassing. Because many more people can see them than a print review, it can seem as though they have more impact. Time and countering reviews can lessen the impact, and if you learn something useful about your facility, practice, or providers, you have gained important knowledge. If you are tempted to respond however, talk first to an attorney. Otherwise you may end up with more problems than a negative review. Beth J. (“BJ”) Strickland is from Tennessee. She is an RN with Bachelor’s and Master’s degrees in nursing and a Master’s degree in history from Vanderbilt University. She is also a licensed attorney with her Juris Doctor degree from the University of Tennessee. She has practiced nursing since 1976 and has experience in clinical nursing, administration and teaching in several clinical areas. She has practiced law in state and federal courts in Tennessee since 1996 with an interest in healthcare risk management, employment law and medical malpractice. She retired from the U.S. Army in 2015 as a Lieutenant Colonel. This article is not legal advice. It is offered only as information about nursing topics of interest. If you have legal questions, please speak with a licensed attorney in your area. Neither the author or the website publisher are responsible for any actions a reader may take based on material in this article or on this website.